Still shopping for some iPhone XS and iPhone XS Max accessories, then you’re going to love what Choetech has in store for you today. Given how powerful our mobile devices have gotten, picking up a quick charge wherever necessary is a must these days. That’s why we end up investing in accessories like a wireless car charger or a regular charger with USB-A ports. But if you are looking in the right places then you might actually end up with something that is higher end for your mobile device and is extremely easy on the wallet. This is where companies like Choetech come in. Not only they offer excellent products, but even without a discount they are extremely budget-friendly. Today, they have discounted two products exclusively for our readers, and it includes a Qi wireless charger for the iPhone and Android devices as well as a fast car charger with support for Quick Charge 3.0. But of course, you might think to yourself: what’s so special about these products? Well, the Qi wireless car charger will cost you $29.99 on a regular day but it’s now down to just $12.99. 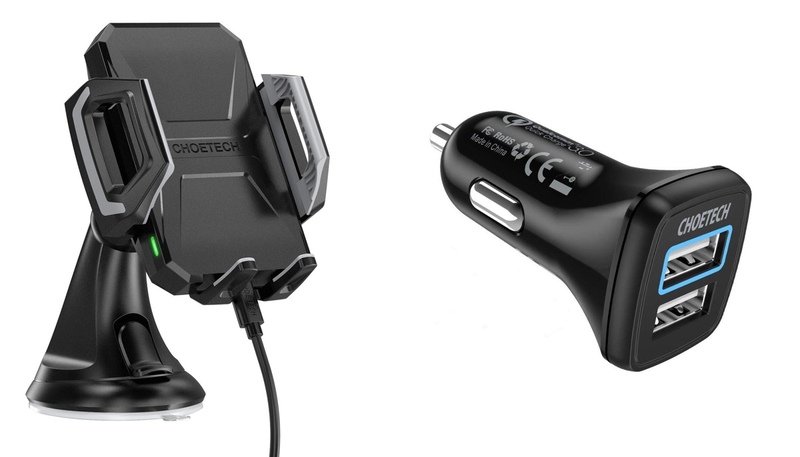 The car charger, on the other hand, will set you back $13.99, but it’s now down to just $5.99. If you want to fast charge your iPhone XS, iPhone XS Max or any Android device, then you might wanna pick up these accessories before the 30th of this month. That’s the date these offers will expire hence you have plenty of days to decide whether you want to make a purchase decision or not. Hit the links below and grab your deals today!